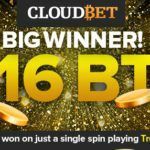 The Betcoin.TM Entertainment Network is a truly colossal Bitcoin gambling website. It is split into 4 sections, and each section is a unique and fun way in which the website can be used to entertain a gambler. Its unique style makes it interesting, and while it most certainly isn’t as formal or professional as some other Bitcoin gambling websites, it does have some features that other websites lack. The BTC casino is split into 4 sections, each hosting a different game for players to try out, and all games have the same bet history that lets players see people bet in real-time. 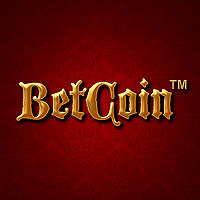 Note: Betcoin™ is entirely different from Betcoin Casino, which has a similar name but is run by a different company. The first game that the Betcoin.tm hosts is Circle, a “spin the wheel” type of game in which players choose from 6 wheels going from the lowly 2x wheel all the way up to the diamond-encrusted 25x wheel, hoping that the spinner lands on the right place. We found that the variety of wheels that the player could choose from provided a good range of bet multipliers that should satisfy the people who dislike taking massive risks, those who like a balance somewhere in the middle and those who enjoy risking it all. 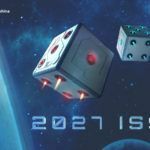 The second game is the well-known Dice game hosted by many other websites, although rather than using the standard 0-100 system, players can bet on whether the number rolled will be below anywhere from 1 to 64000, with the payout and win chance adjusting accordingly – for instance, if you bet on <1 and somehow managed to get a 0, and had bet 0.001 BTC, you would win approximately 64 BTC. The third game that BetCoin™ offers is Prize, which in simple terms is a lottery – what the website terms as the “World’s Largest Bitcoin Lottery”, stating that players can win a one million dollar prize by betting 0.001 BTC…if they have extremely high luck, and enough players enter, of course. 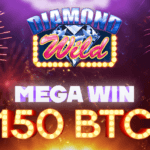 To play, a player must first choose a tier to enter into – the 1 day Bronze lottery, the 3 day Silver lottery, the 7 day Gold lottery, the 9 day Platinum lottery or the 15 day Diamond lottery. 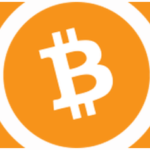 The player then has to send a multiple of 0.001 BTC for each ticket they want to buy along with a small confirmation amount in a transaction in order to buy tickets. After the amount of days passes, the lottery is drawn and a winner is picked. The final game offered by BetCoin™ is a standard Reels game, where players can spin a slot machine and hope to win big, using the same interface that most people are accustomed to. In terms of bonuses, the site doesn’t do very well. 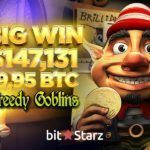 It offers a quite large deposit bonus when you first sign up, but the rollover requirement for bonuses is one of the highest we’ve ever seen on a Bitcoin casino, making it quite unattractive. The website doesn’t have a very active forum presence, however the official BetCoin™ account is a “Donator” on bitcointalk and regularly purchases advertisements, which shows they do indeed have funds and are a serious business. The site can be a little slow sometimes and the presentation in some places is a little scruffy, however it doesn’t affect the experience too much. In conclusion, we think that while BetCoin™ does lack in some areas such as bonuses and presentation, it makes up for it with a unique range of games and seriousness shown by the team behind the website.